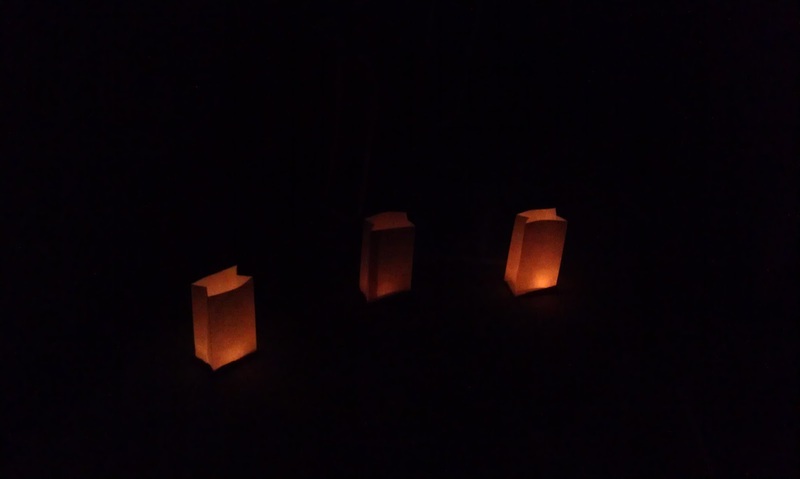 Last night was our November meeting. During the inner court meeting, we hashed out details for our open Yule ritual, and discussed current and possible future Shadow Sisters. Once our Shadow Sisters arrived, we talked about divination, and broke off into pairs for 15 minute readings. Switching and rotating, each sister received three readings from the other sisters. 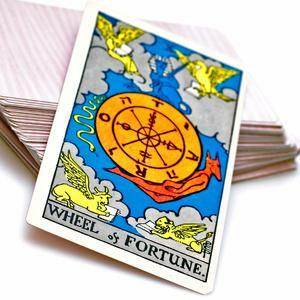 The main reason for the divination night, was so that everyone became a little more comfortable with reading for other people. It went great, even though we had to rush indoors as it started to rain. Everyone learned something, either about themselves through the readings of others, or about how to give readings to other people. This will definitely be on the agenda for 2012! You are who we honor. And be here with us this night. 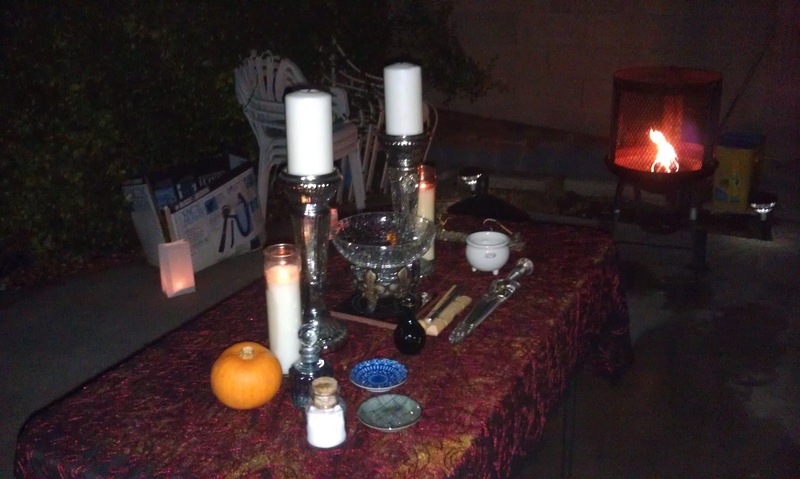 We held our Samhain ritual last weekend, where we ended a cycle, honored our ancestors, and were cleansed for the new year. 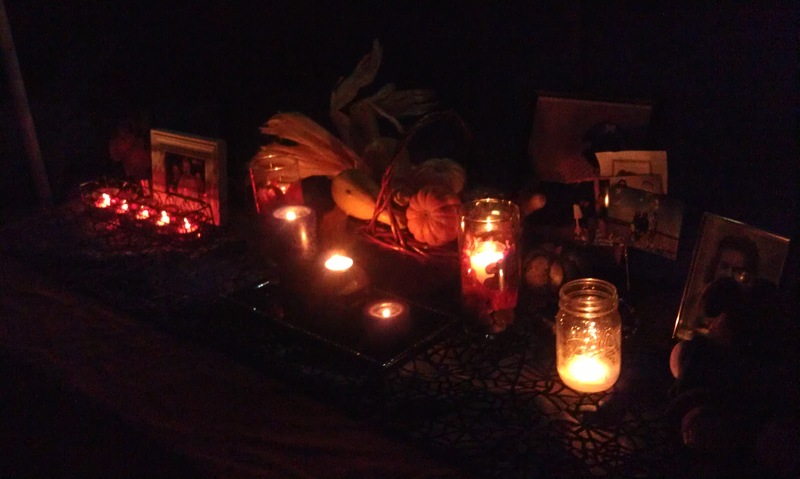 The time between Samhain and Yule is a time of rest- some call it "Witches Rest." 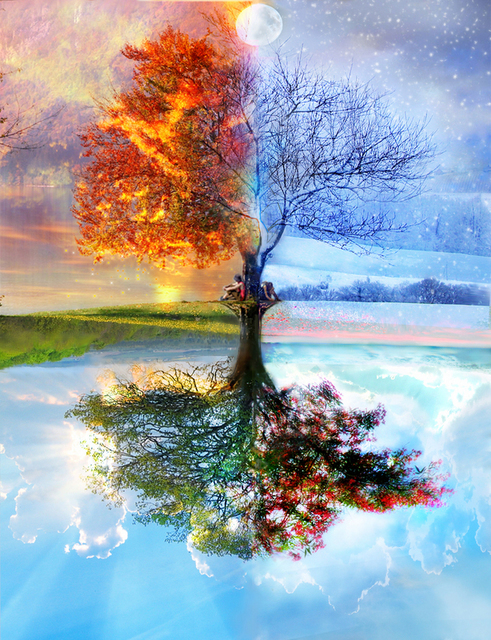 It's the time for us to hunker down- the calm before the storm that is Winter. 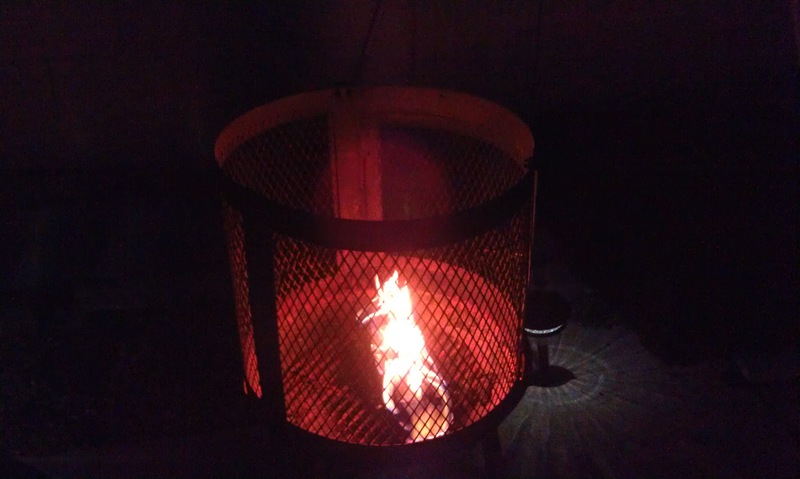 Although, most of us are not resting, as we shop for holiday gifts, or get to work on homemade gifts. 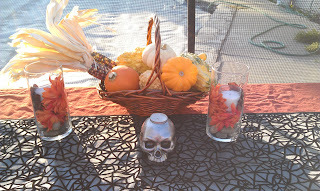 Here are a few photos from our Samhain celebration! 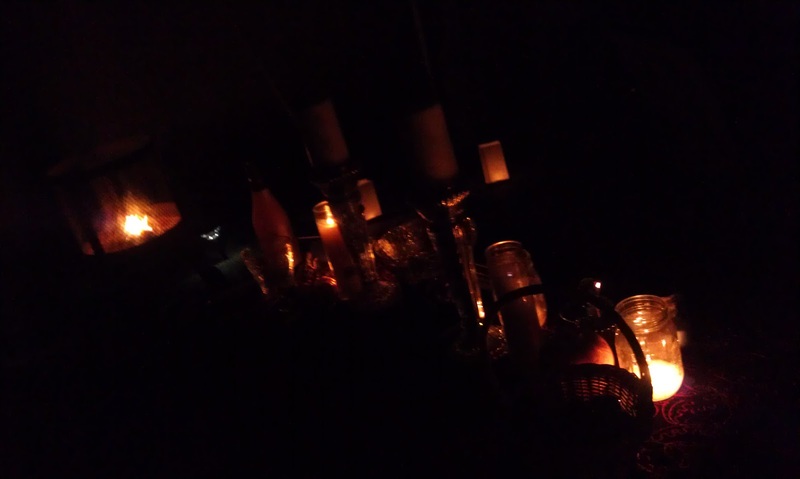 We were blessed with the presence of three of our Shadow Sisters for our Samhain circle! 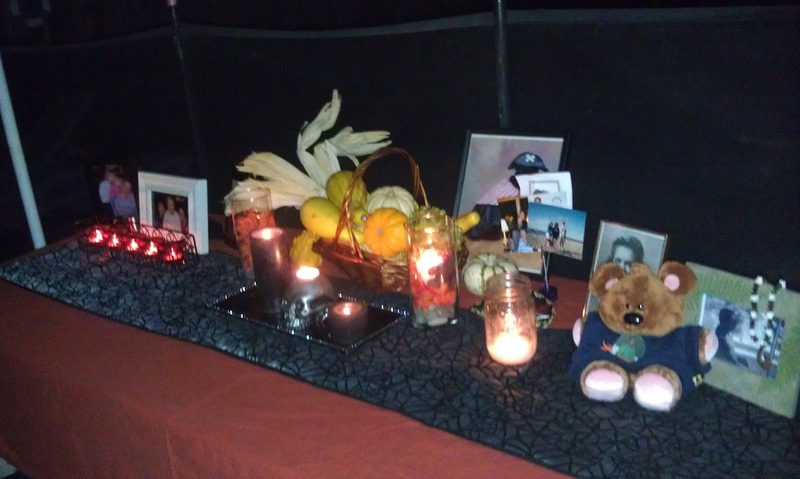 Our ancestor altar, before we added our ancestor's photos and candles. What our ancestor altar looked like- taken with flash. 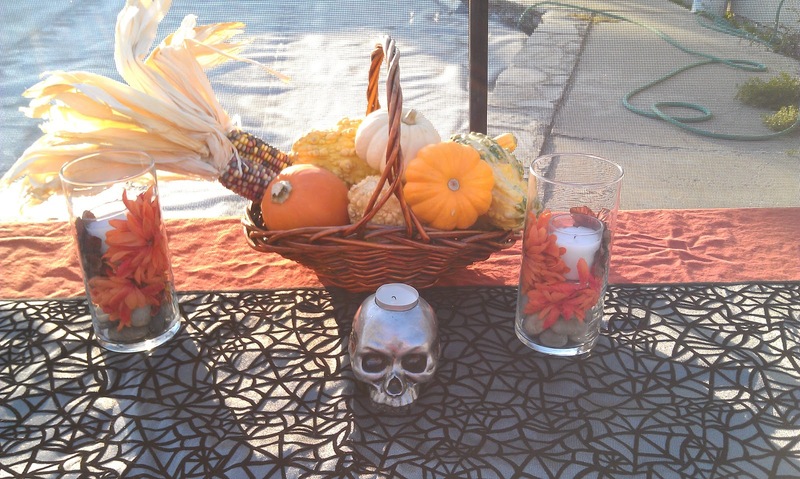 Our ritual altar, before the rest of our accouterments were added. Our ritual altar, post ritual. We had roasted veggies, red potatoes, cheese potatoes, black bean and sweet potato tacos, vegan meatballs in some awesome tasting green sauce, edamame salad, vegan chicken and dumplings, and quinoa (I think? 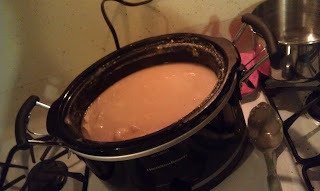 ), and Beth made amaretto doughnuts for our cakes (and dessert). 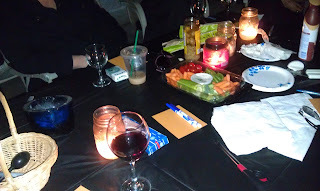 Prior to ritual, we had bread, goat cheese, mushrooms, and veggies. 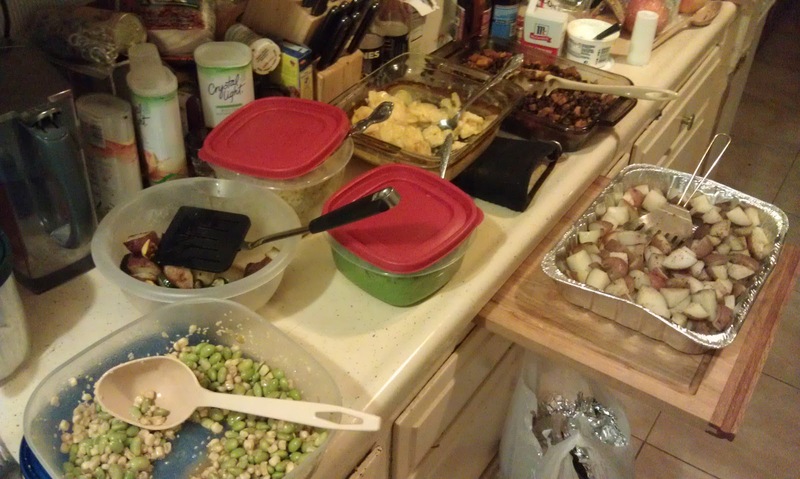 We know how to feast.